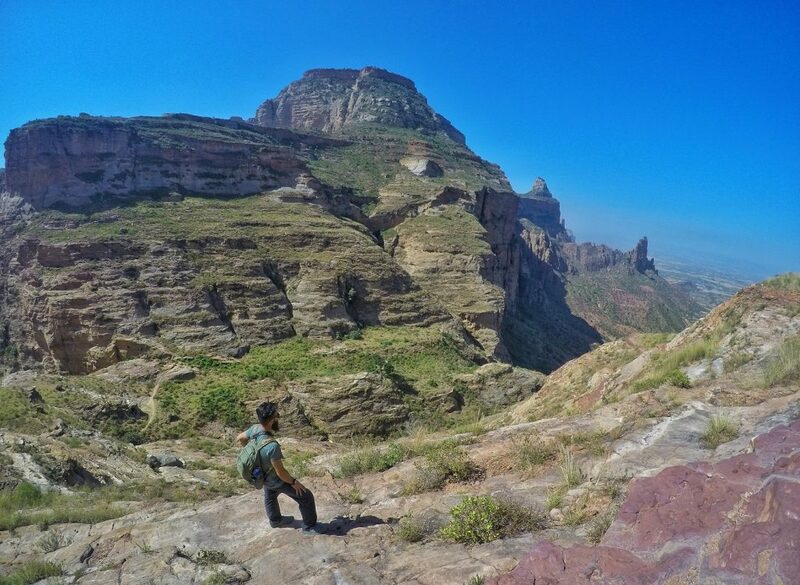 The Tigray region of Ethiopia is rich in history dating back to the first civilization within Ethiopia. Emperors once ruled from the Tigray region. During the fifth century, the missionaries later called the Nine Saints, descended on Africa in what is now Tigray. For centuries, this region played a major role in Christianity. 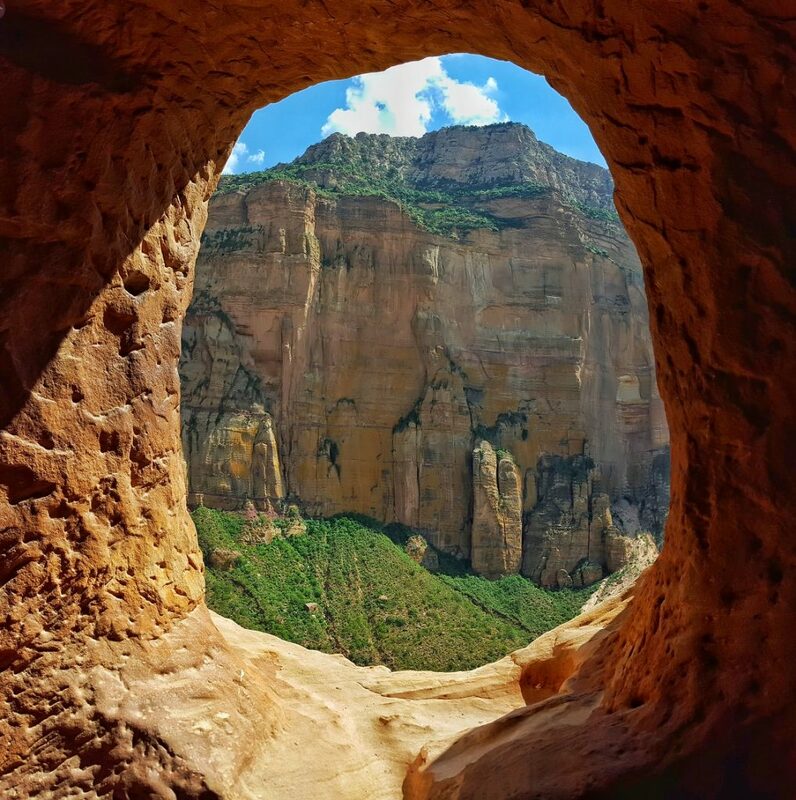 The major draw to Tigray is the rock-hewn churches, some of the oldest churches in the world. 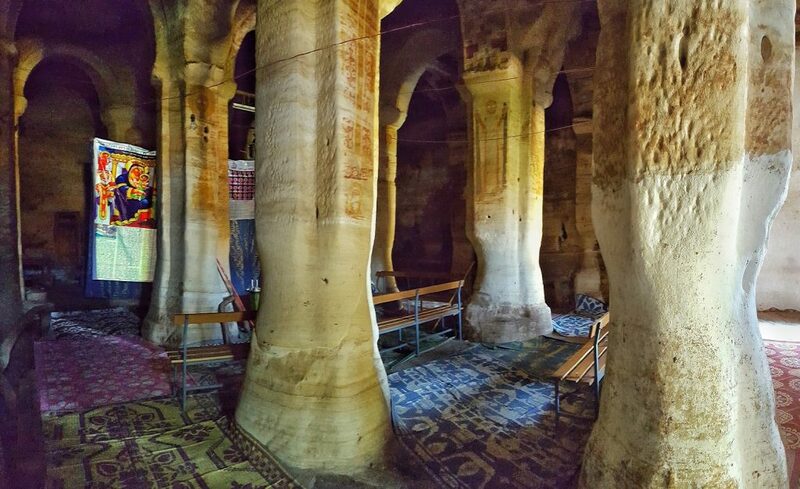 There are several clusters of the famous rock-hewn churches. Some are off the road, while others need hiking up a mountain. Some even require a little rock climbing. The churches are hidden in the mountains, which were all built between the fifth and seventh centuries. In our opinion, Gheralta mountains have the best cluster. The beautiful scenery alone is worth a visit. The most popular cluster and one of the most historical need some hiking to get to the best churches. 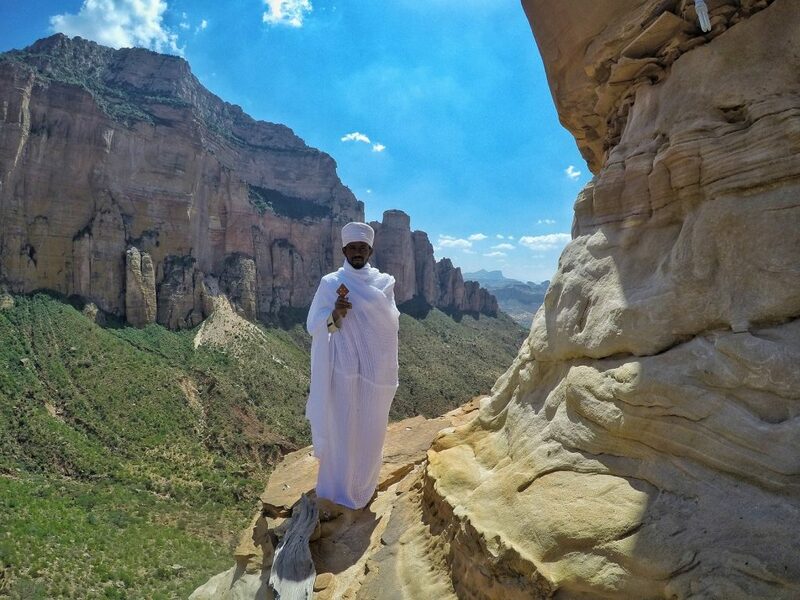 Don’t miss the Abuna Yemata Guh, which requires some agility and good climbing skills. Also, visit the Maryam Korkor, this church includes a beautiful hike with stunning views. Easily accessible from the road, these churches can get busier with tourists and locals (mostly claiming to be guides). Don’t miss the Madhane Alem Kesho Church. Skip Teka Tesfai, where tourists are known to get bombarded by locals demanding money. Smaller but an easily accessible cluster, with very nice churches. The best churches are Abraha We Atsbeha and Wukro Cherkos. Each church costs 150 or 200 Birr for entry ($5 – $7 USD). Priests expect tips between 10-20 Birr. This historical town was the second civilization in Ethiopia. Ruins, tombs, and obelisks over 1,600 years old mark the old town. Aksum is most famously known for a small chapel that claims to house the original Ark of the Covenant, Moses’ 10 Commandments. 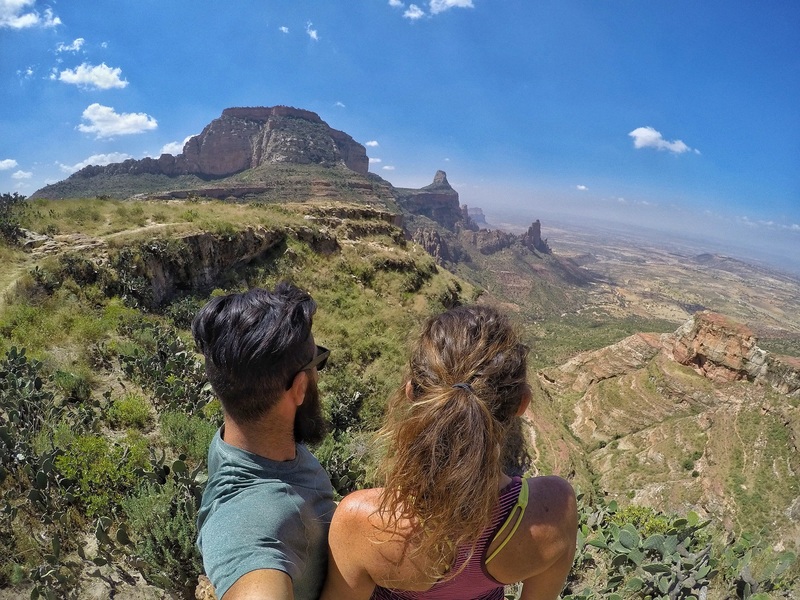 The history, ancient tombs, and obelisks make this a wonderful stop in Northern Ethiopia. Northern Stelae Field – used for over 5,000 years, monoliths are used as monuments and for tombs. 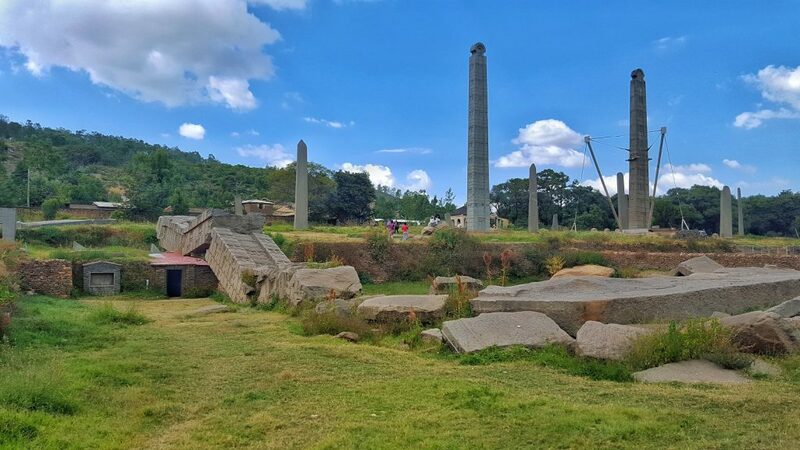 Aksum is one of the best places in the world to see these ancient stones. This field has 66 stelae mostly from the third and fourth centuries, and contain the largest single slab stone ever erected. See the King Ezana’s Stelae, the Great Stelae, the Rome Stelae and several well-known tombs. Ark of the Covenant – within the Saint Mary’s Church compound, a small chapel holds the Ark of the Covenant. No one can enter the chapel. A 3-day ticket costs 50 Birr at the tourist office in town. 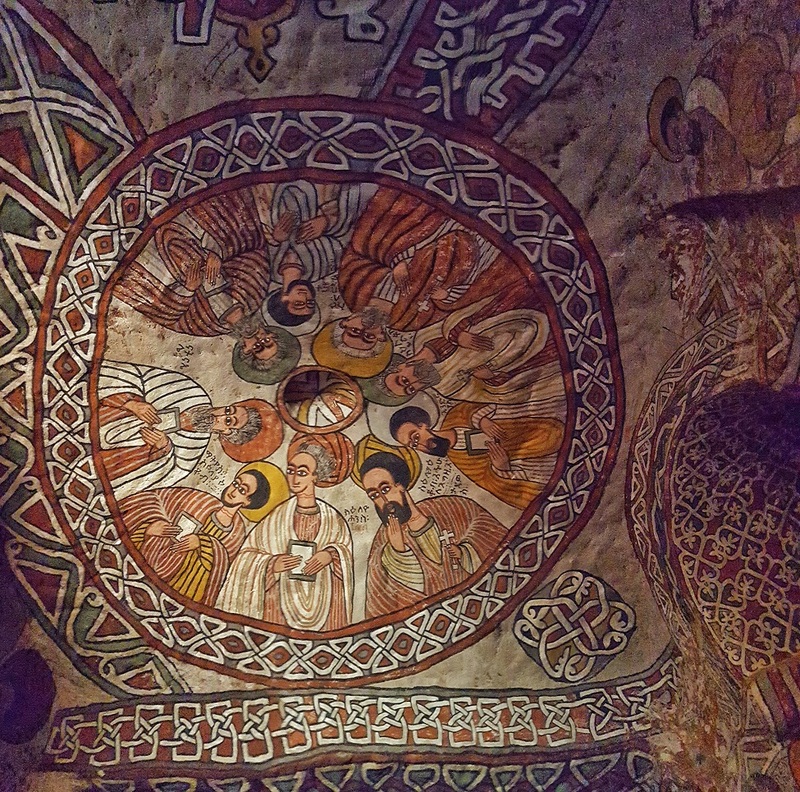 It provides access to all sights in Aksum excluding the Saint Mary’s Church compound (200 Birr), the Abba Pentalewon (150 Birr) and Abba Liqanos Monasteries (150 Birr). The first civilization in Ethiopia, nearly 3 millennia ago, has several ruins still intact. This ancient city is very impressive, including a walled city, temples, churches, and a museum. Note: Yeha has been under renovation for several years and is not worth visiting until the renovations are complete. 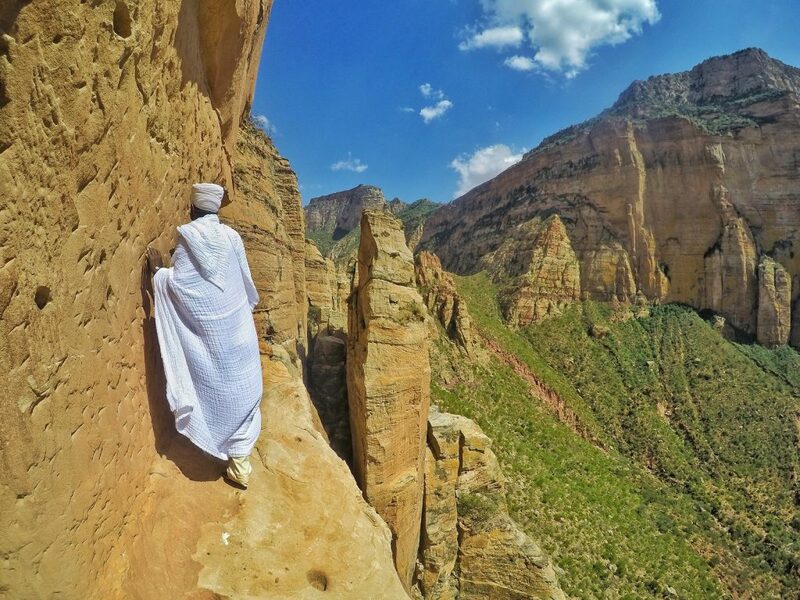 One of Ethiopia’s most important monasteries, perched on top of a mountain, the highlight of this men’s only sacred space is when the monks tie you up and help you climb up a 15m (45 feet) cliff. There are a few options to stay when visiting the churches. The closest towns to the clusters are Hawzien or Wukro. Both are small towns with only a couple of options for food and accommodation but allow for better access to the churches. Another option is to stay a few hours away in Mekele and hire a private car for the day. Hawzien – Vision Hotel has nice rooms and wifi for 300 Birr. Wukro – Hewan Pension is a good option for 250 Birr. Mekele – LK Pension has rooms with ensuite for 300 Birr and shared bath for 200 Birr. Aksum – Unlike what many guidebooks say, do not stay at Africa Hotel. There is a history of bed bugs here. Stay nearby at The Ark instead, with rooms from 250 Birr. 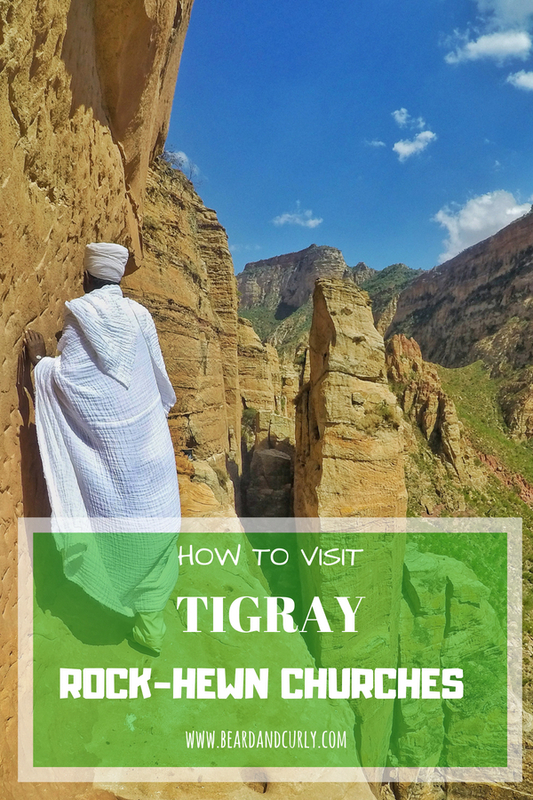 Many guidebooks will tell you about potentially getting harassed at the rock-hewn churches in Tigray. This is still true in some places. Locals will demand money for just about anything, and most likely for nothing. This is getting better, and in the past Gheralta was known as the worst, however, it is no longer an issue in the Gheralta cluster. Hiring a guide is beneficial for several reasons. 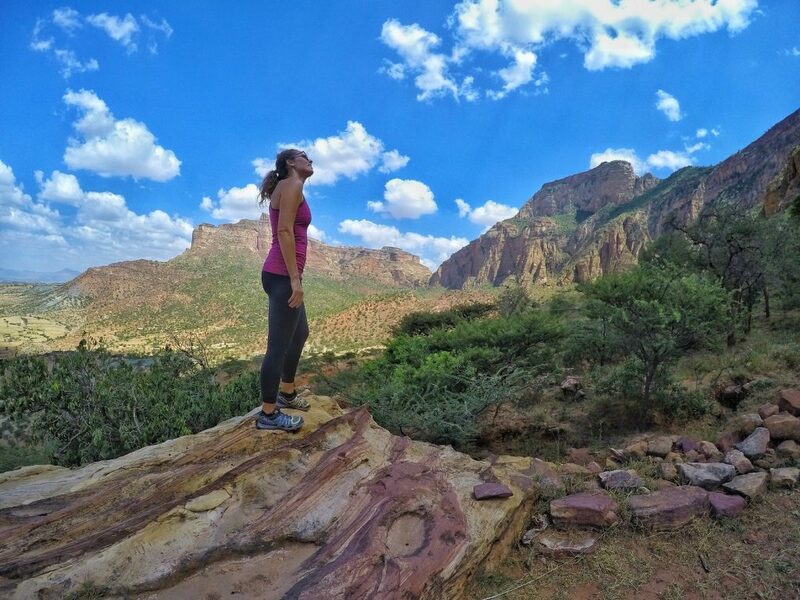 Many churches require hiking and the guide will make sure you find the church. Guides also act as a buffer against locals harassing you. Lastly, they can tell you of the history and unique facts about the churches and the area. At several hikes, including all Gheralta cluster hikes, scouts will be at the bottom of the trail. Scouts are available for hire to help on the hike. Some hikes have sections of bouldering or rock climbing. Unless you want to hire them, clearly state you are not interested in hiring a scout. They may continue to follow you on the hike. In Gheralta, scouts are stationed at each trailhead. There has been a push in recent years to rid of locals demanding money, and one of the responsibilities of the scouts is to keep locals off the trails. Some churches are along the main road, however, most need a private car or taxi. 4×4’s are available for hire from Gheralta Lodge. The other option is to rent a private car/taxi. Minibus drivers will all negotiate rates for private hire. It is easiest to find a driver at the minibus station and negotiate a price between 1,000 and 1,200 Birr for the day.